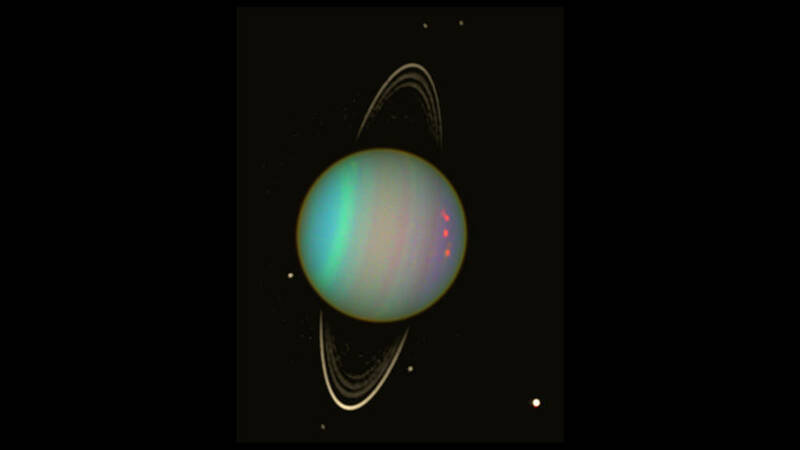 October 23, 2016 – NASA’s Voyager 2 spacecraft flew by Uranus 30 years ago, but researchers are still making discoveries from the data it gathered then. A new study led by University of Idaho researchers suggests there could be two tiny, previously undiscovered moonlets orbiting near two of the planet’s rings. NASA’s Jet Propulsion Laboratory, a division of Caltech in Pasadena, California, built the twin Voyager spacecraft and operates them for the Heliophysics Division within NASA’s Science Mission Directorate in Washington. The Laboratory for Atmospheric and Space Physics in Boulder, Colorado provided the Photopolarimeter System (PPS) for Voyager 1 and 2.